Modular design can allow clients to minimise on-site disruptions to a site though the use of pre-built and pre-commissioned sections of plant. Construction and commissioning times are reduced to a minimum for the client which significantly reduces costs and allows the fastest path to positive operational cashflow. Any issues of remote or troublesome geo-political locations is minimised by reducing the need for large construction crews on site for considerable periods of time. Como Engineers Modular Elution Plants are completely constructed in our workshop in North Fremantle, fully water tested to temperature and client witnessed. Once complete, the plants are disassembled into modules (and packed in sea containers for export) and shipped to site. Site installation for our Modular Elution & Carbon Regeneration Systems is a matter of weeks not months. Smaller systems less than 4 tonnes capacity takes only 2-3 weeks; our 10 tonne Modular plant takes only 6 weeks from opening the sea container doors on site to it being ready for commissioning with carbon. 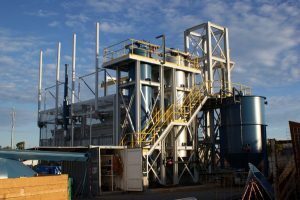 Since 1986, Como Engineers has become a recognised specialist in the design and construction of modular gold desorption (elution), carbon reactivation and gold refining plants, that can be containerised and shipped anywhere in the world. Using our extensive technical and practical experience, we have developed our proprietary technology to provide equipment that out performs any similar technology currently on the market. 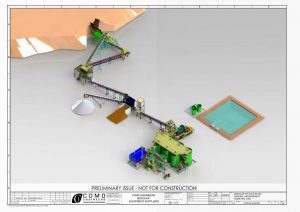 Como Engineers offers a range of modular alluvial gold recovery plants. 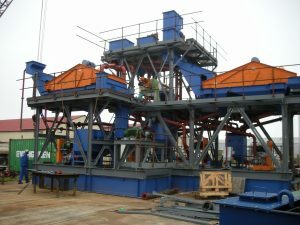 We have adapted our vast experience in the design and construction techniques used in the supply of Modular Elution circuits to supply a variety of options that are best suited to the style of deposit to be processed. Como Engineers has continually listened to the requirements of customers who have mineral deposits that require lost cost low tonnage solutions to satisfy their economic criteria. 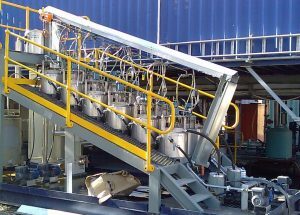 Como has developed a range of appropriately sized and adapted process plant options that incorporate all of the necessary unit processes from crushing, grinding, gravity separation, leaching, adsorption, desorption and refining, all in respect to modular designs. 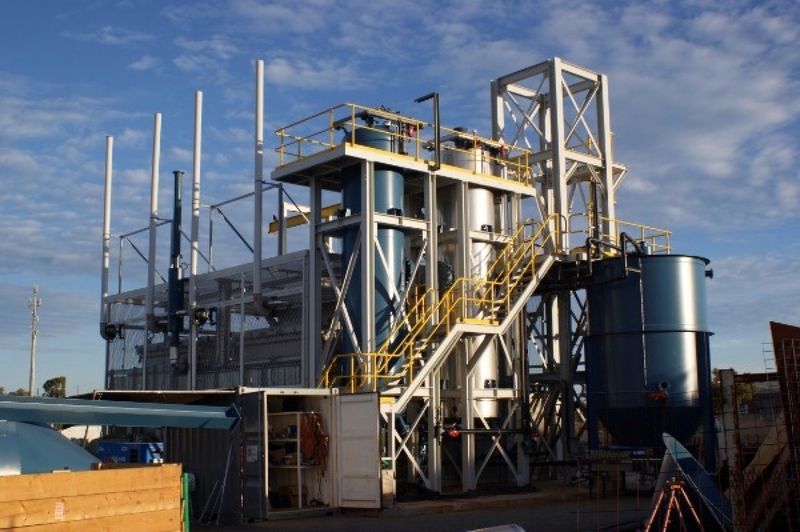 Como Engineers has designed and successfully supplied a range of pilot plants that have enabled our customers to test and de-risk full scale operating plants. Como has designed pilot plants that cover a wide range of processes and commodities. We have successfully testing heap leach designs in gold and copper, elevated temperature leaching for gold processing, Heavy media and magnetic separation to recover iron sands and magnetite in tailings and RIP/SX for uranium recovery. Como Engineers is proud to announce the introduction of modular coal preparation plants, adding to our highly successful Modular Elution, ADR and Carbon Regeneration equipment. 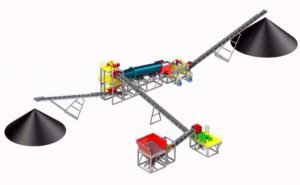 Utilising our 30 year experience in the design of pre-commissioned modular equipment, Como Engineers now brings you a fully modular, fast to erect, relocatable, simple to operate and reliable alternative to coal crushing and beneficiation processes. Provide Como Engineers with your coal feed and final product specifications, and we will optimise the standard design to suit your coal. 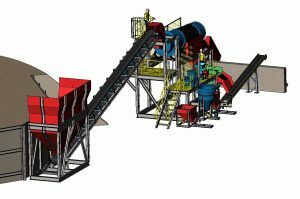 Como Engineers can supply all the equipment required to operate a Heap or Vat leach plant, and for all but very large operations these can be of modular construction.